You may have had a garage before. Maybe you’ve always wanted one. Perhaps you just want to improve the one you currently have. No matter why you are here, we know you have many options to consider. What kind of space do you have to work with? What will you be using the garage for? Will you ever have more vehicles? We want to help you answer these questions and any others you may have. Don’t be overwhelmed by the options, relish in them. If you need a work space and somewhere to keep your vehicles, great! We can show you how to do that. Worried about space requirement? Don’t. We will show you how to make it work. Check out the 34 design ideas below and see if any of them spark some ideas. Photo by Halaby Restoration and Painting, Inc. 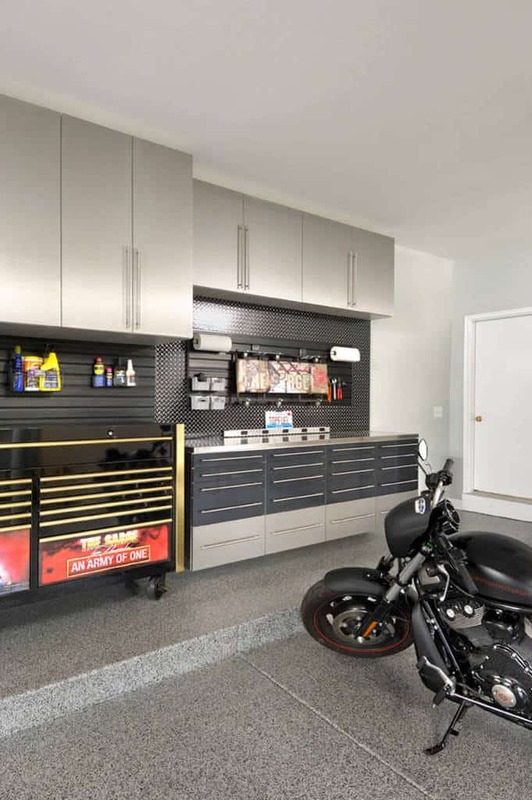 If you have fun toys to display and want yo have a special place for them, this garage will do it. 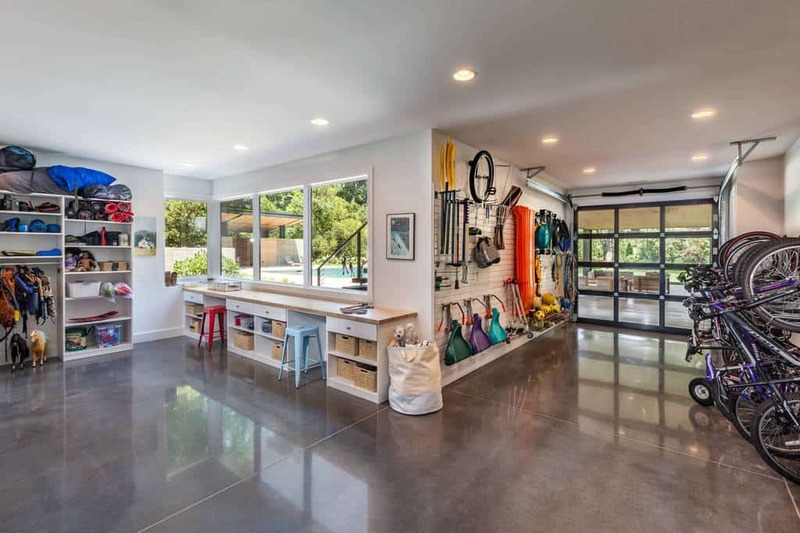 Like a showcase area, this garage is luxurious and modern. 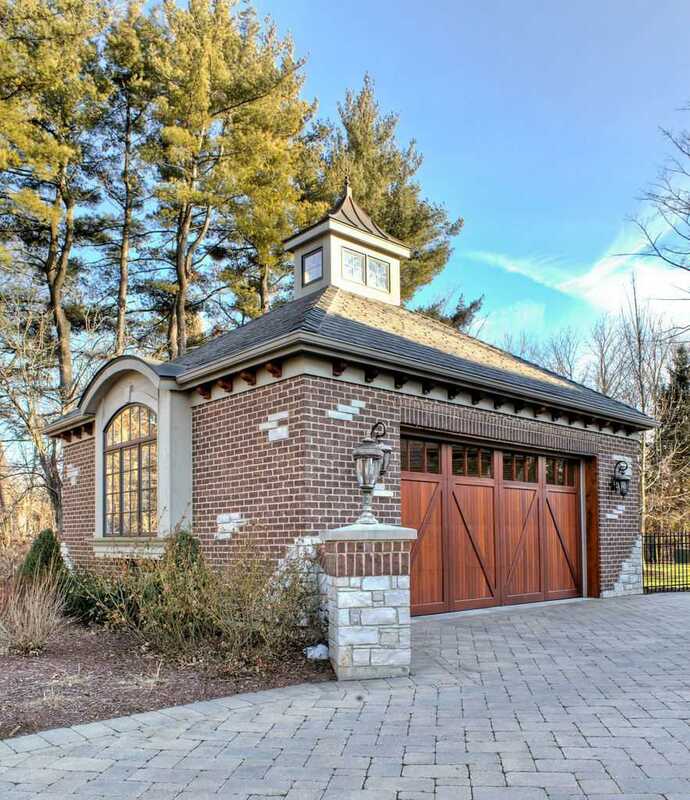 Like a classic European villa, this garage area is landscaped and designed to perfection for a welcome home. The brick patterns are used throughout this area to tie everything together and the hardwood doors stand out wonderfully. Simple and no frills will always get the job done. 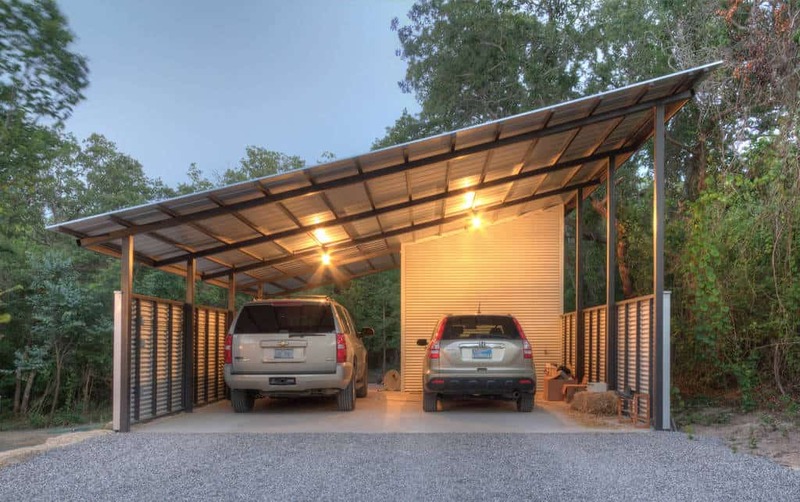 This garage will keep your vehicles out of the elements. 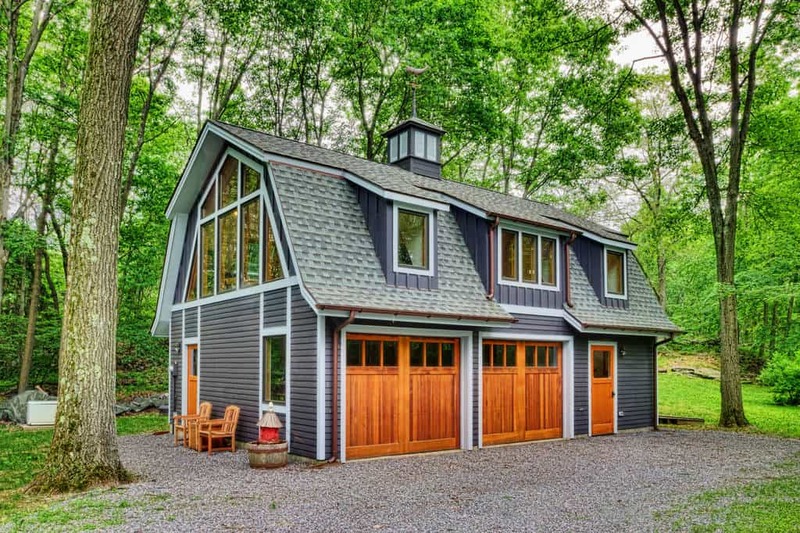 With a great design that appeals to the eye, this garage uses wonderful colors and great hardwood doors to go with its large windows. 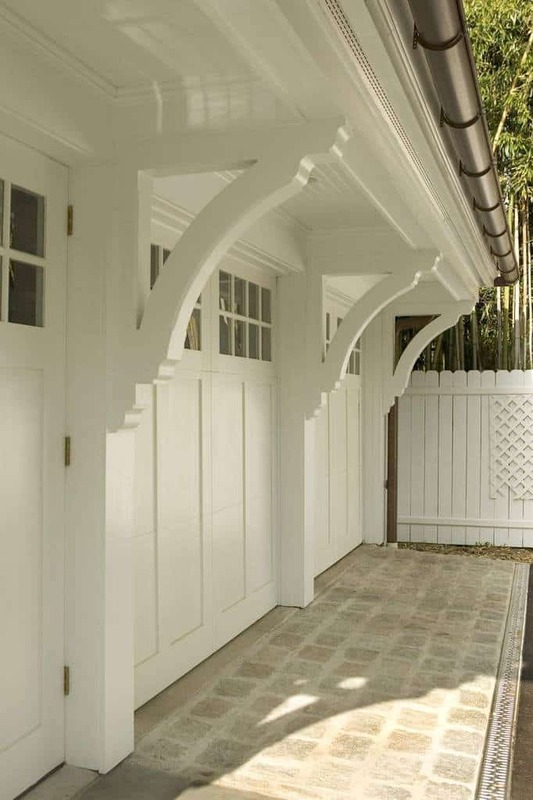 Blending in with its surroundings, this garage will keep both of your cars safe and secure. 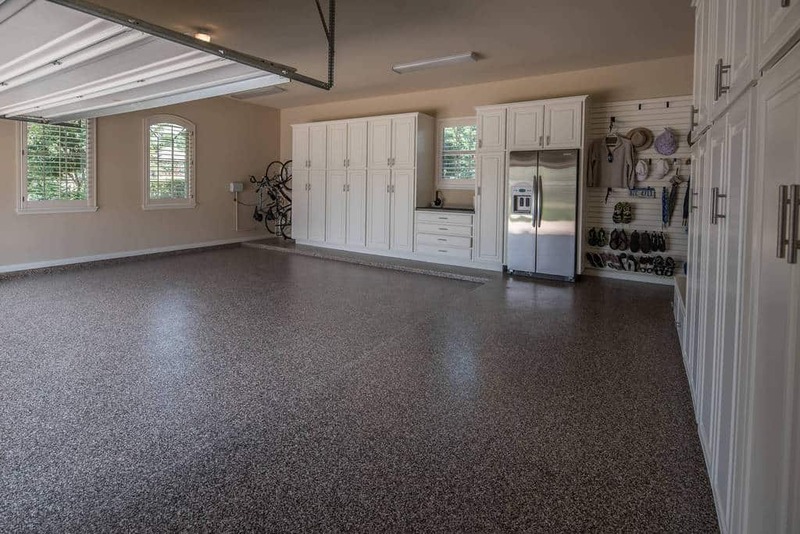 With bold earth tones used to color this garage, you will have plenty of space for your cars and a work area. 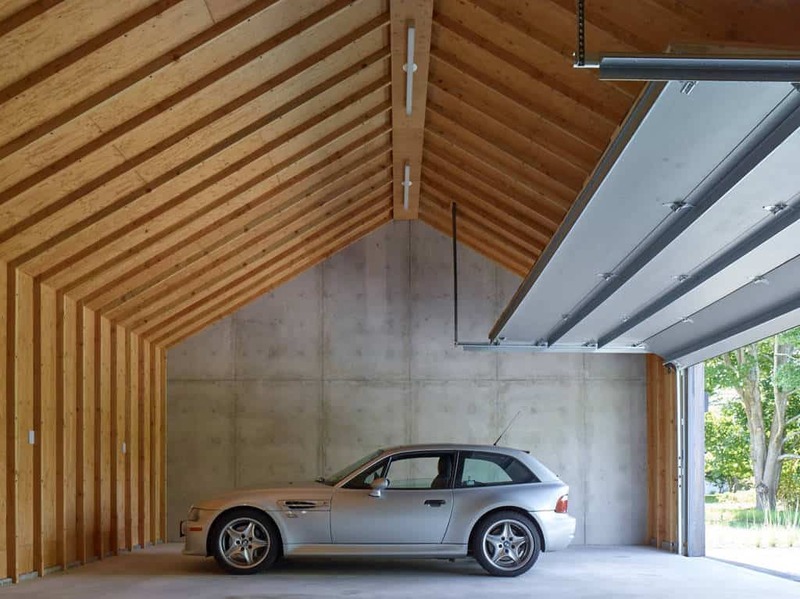 The natural light is allowed to shin into this garage and work space. With plenty of space to handle all of your needs, you may never want to leave. 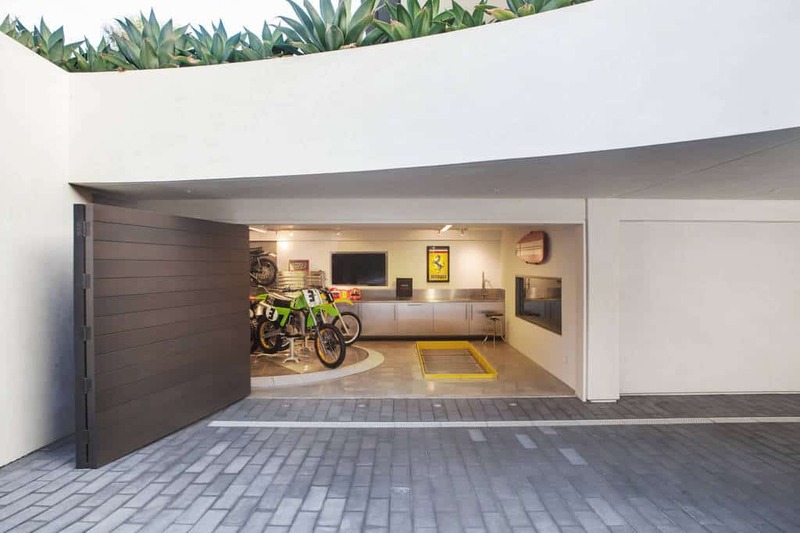 Coming home after a long day will be welcoming as you drive up to this brilliantly designed garage. With brick and wood styling, you will feel right at home. 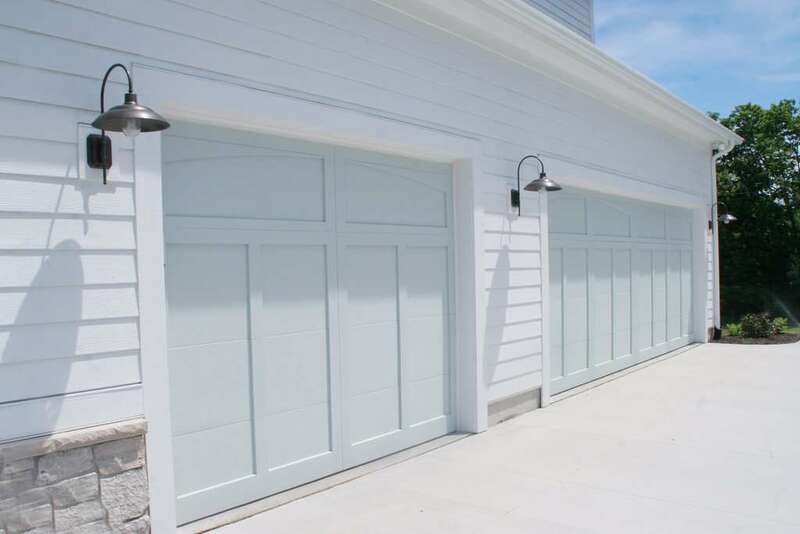 With great designs to accent the door area, this garage lets you know that sometimes it’s the simple things that work the best. When you need your garage to be an extension of your house, put a refrigerator in it to ensure you have enough supplies. The brick design used to accent this entire area blends perfectly with the bold wooden doors. A country villa in Europe is a great look that works for this space. 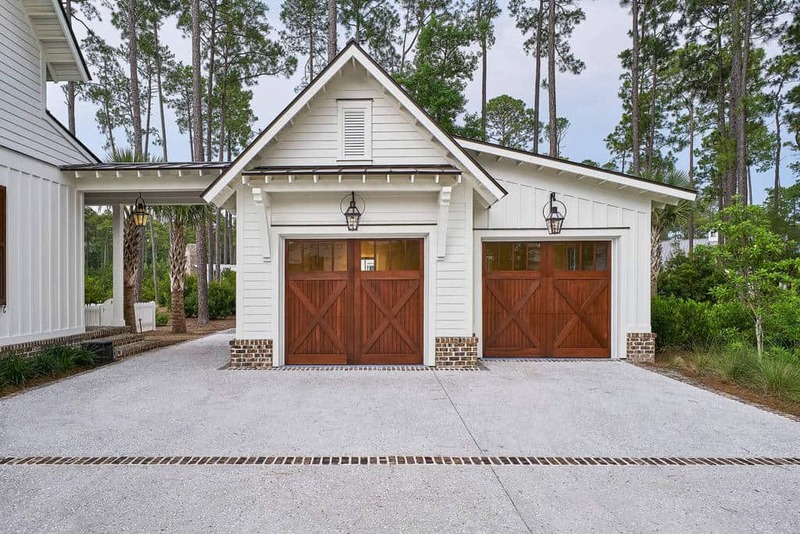 Arched garage doors make a great statement. Classic red bricks often pair well with hardwood doors to make a masterful blend that is always warm and welcoming. This garage space doesn’t just focus on the garage itself. 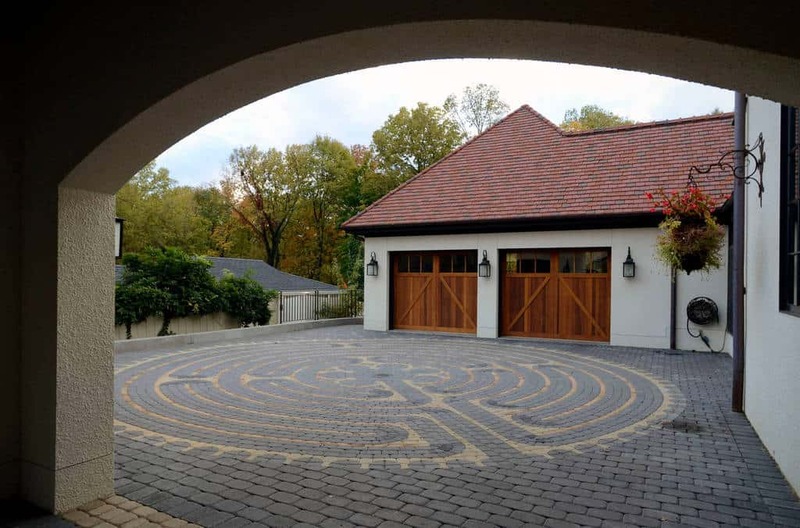 Match your beautiful garage with an equally brilliant driveway and courtyard. 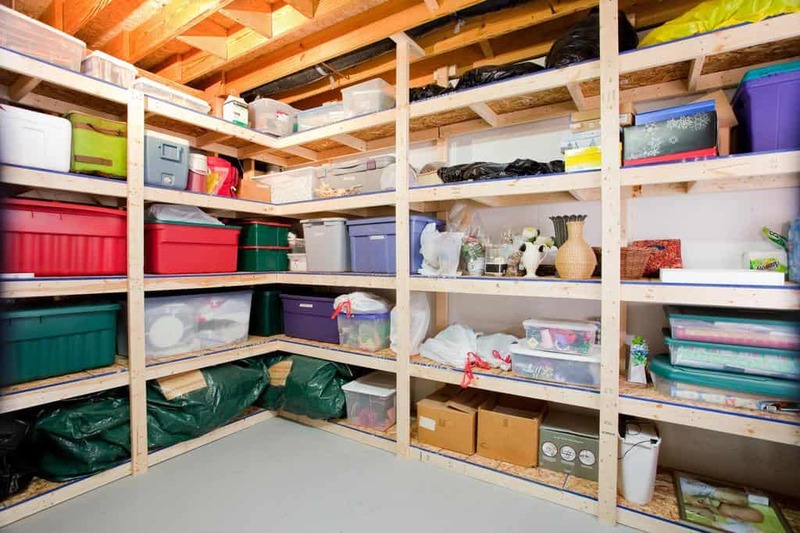 A refrigerator and plenty of storage in the garage can be a blessing when you just have too much to keep in the house. 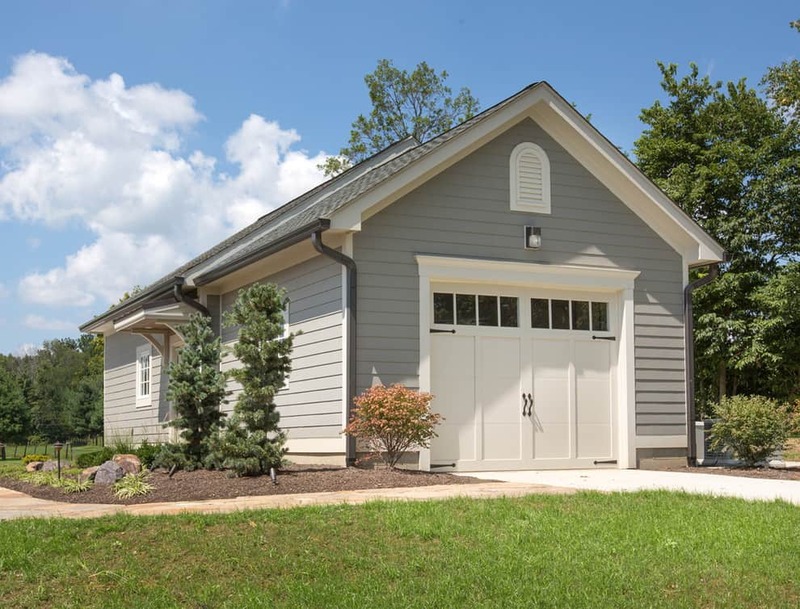 With a traditional design that blends perfectly with its surroundings, this garage has a design that will never go out of style. 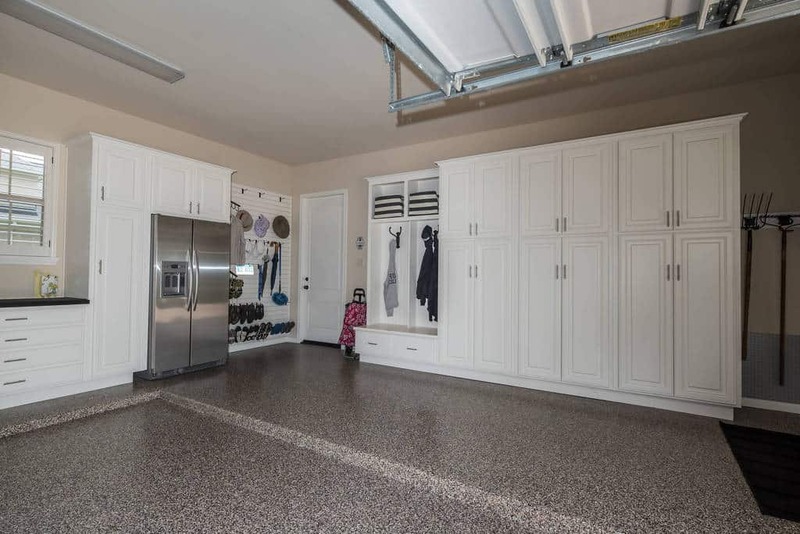 With durable tool area and a floor that will stand the test of time, this garage knows that some people just need a great place to work. 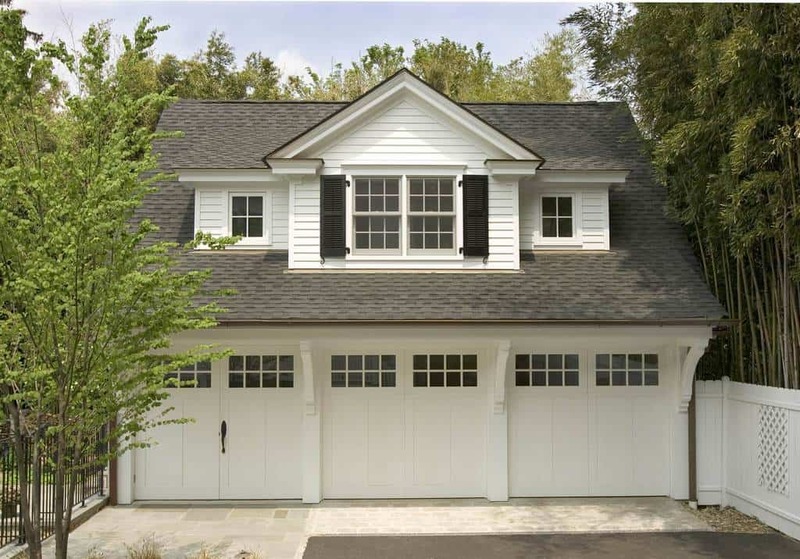 Have a great garage that blends with the neighborhood. This classic design blends white and gray to finish the job. 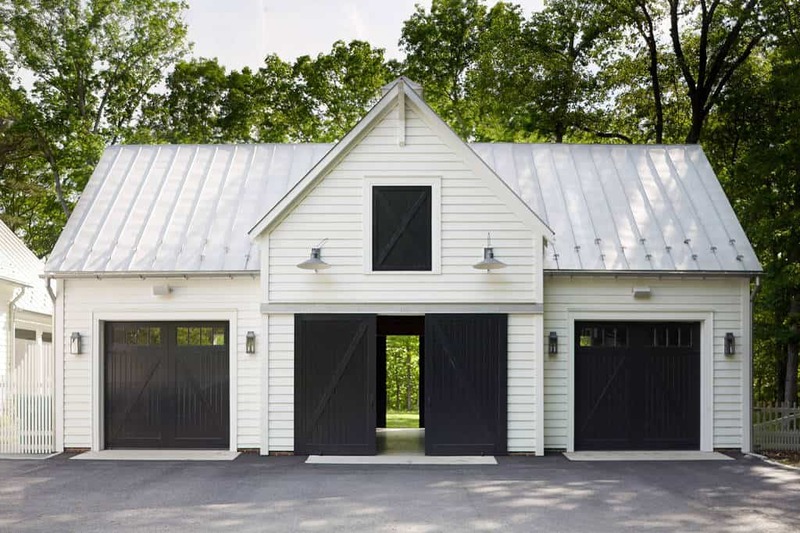 Sometimes you just want something different, and this garage takes on a barn design and has main doors that slide to the side. 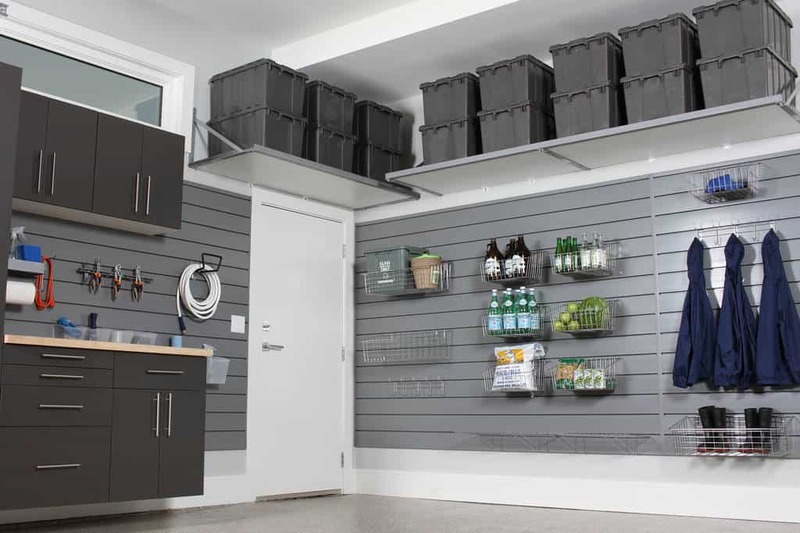 Adjustable wall storage is perfect for your ever-changing lifestyle. You can always guarantee that everything will fit here. 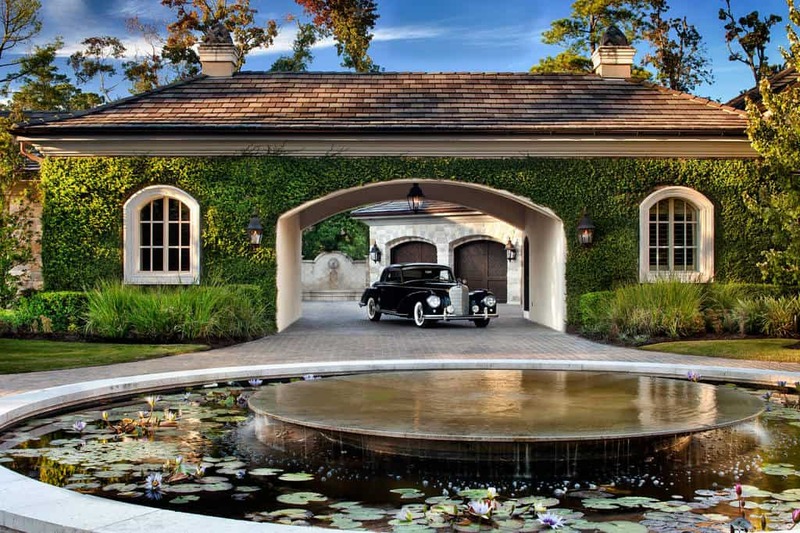 This garage surrounds your beautiful courtyard for a scene straight from a luxury European villa. Sturdy wooden shelves like these will stand the test of time and will always ensure you have all the storage space you need. For a garage that will handle your vehicle and storage needs and blends with the landscape, check this out. 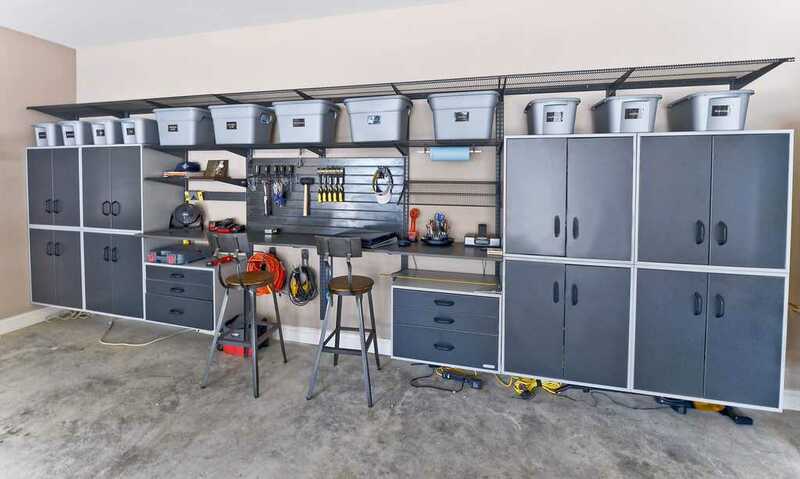 For all your tool and storage needs, create an area like this one. Functioning as a work space for you, it also looks great with these colors. 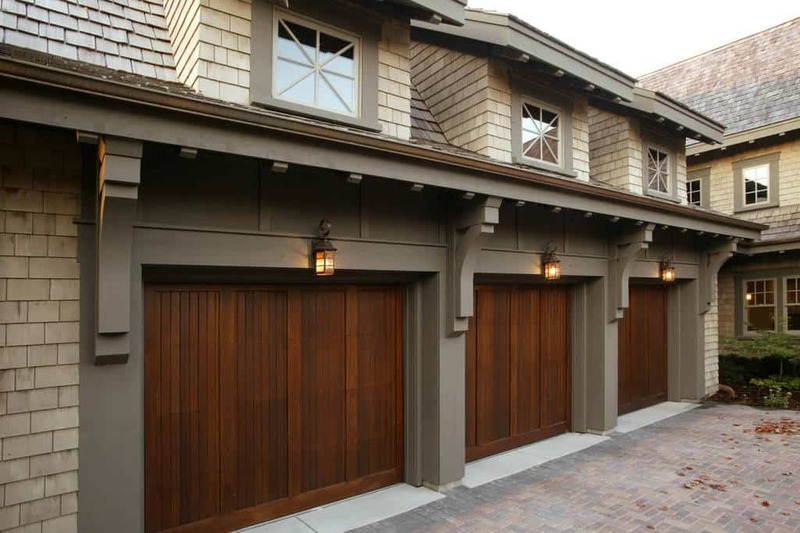 Just because your garage is all wood doesn’t mean it can’t be different shades of wood. This space uses great colors to stand out. 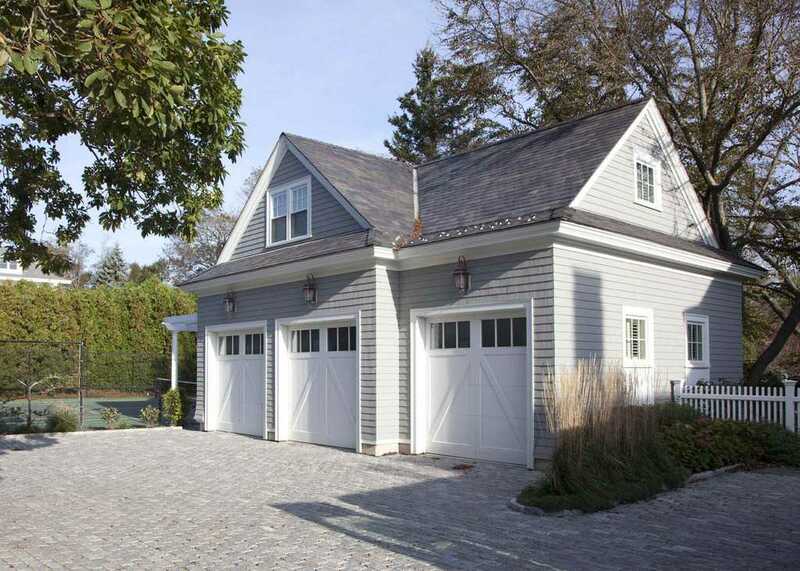 With a great driveway leading to it and plant life around it, this traditional garage is a perfect design for many situations. 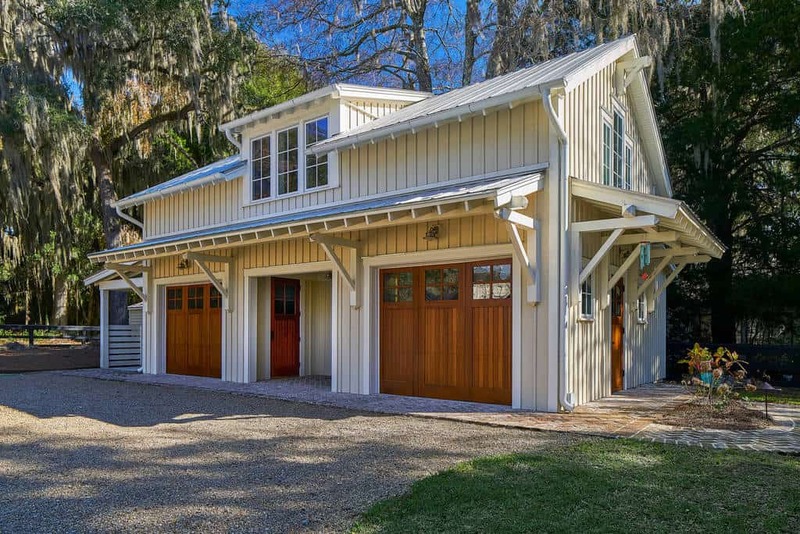 Bold hardwood designs highlight this garage that uses handsome color choices to complete the space. 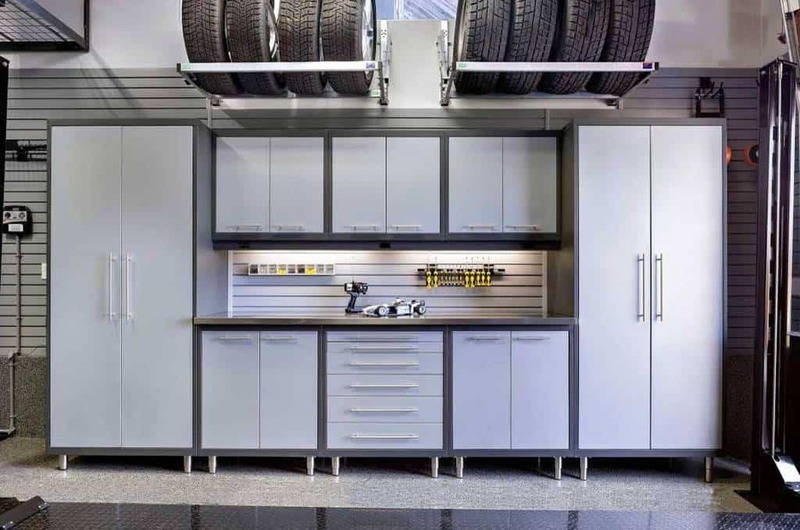 Keep your garage neat and tidy with plenty of storage space and a tire rack to keep the tires out of the way until you need them. Sometimes you need something simple, but that doesn’t mean it can’t be beautiful. 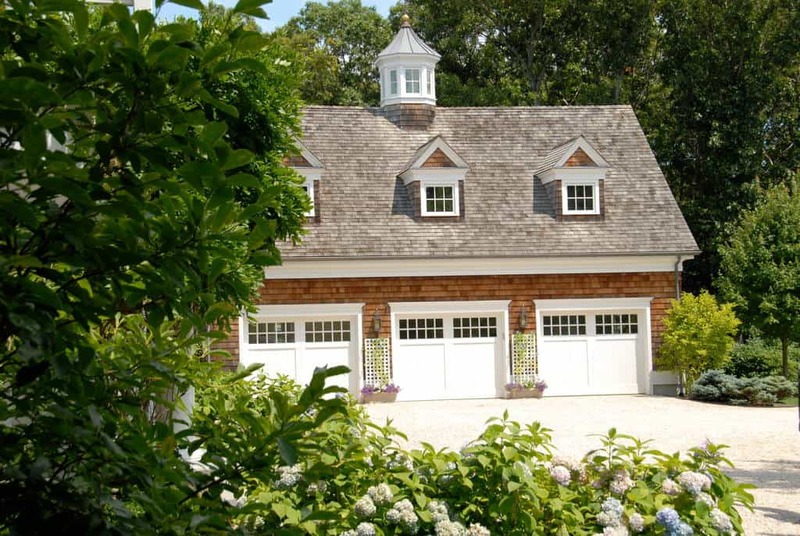 This garage is surrounded by fantastic landscaping and blends with its surroundings. 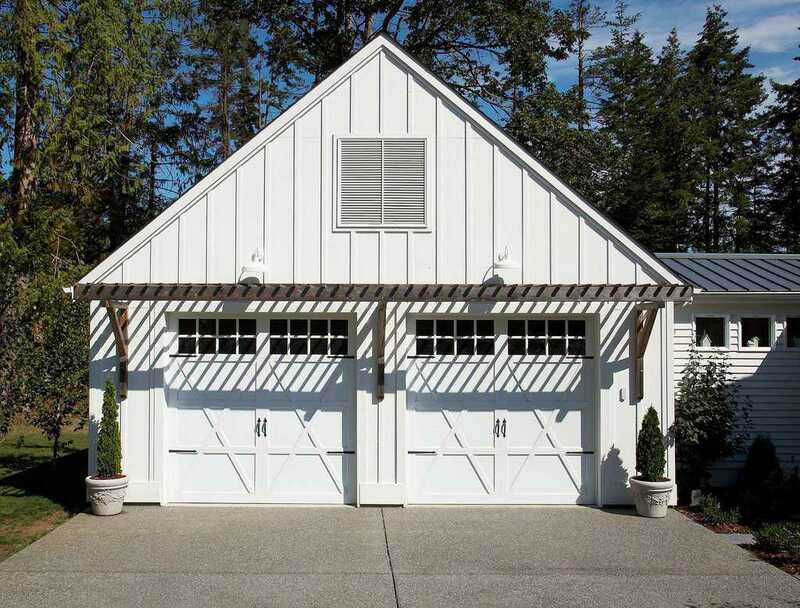 This garage shines with perfection and will be your area to showcase your styles. With sleek designs all around, this space can be yours. 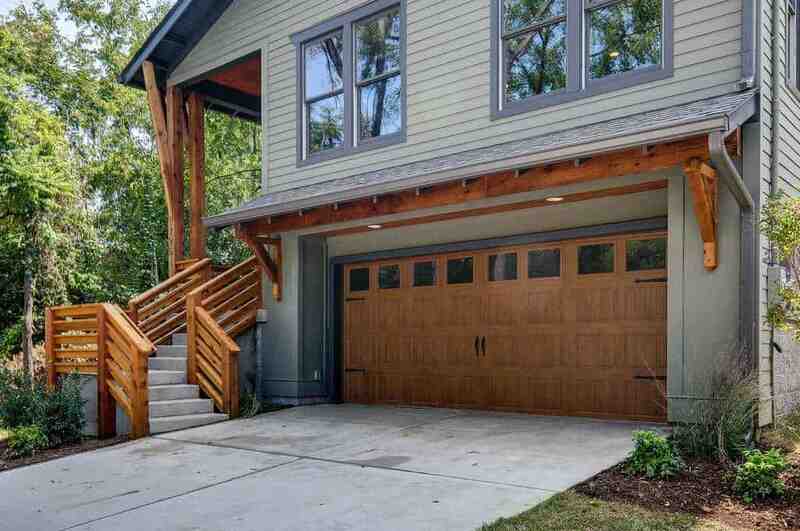 If you have multiple vehicles or need a bigger work space, this garage is great for you. 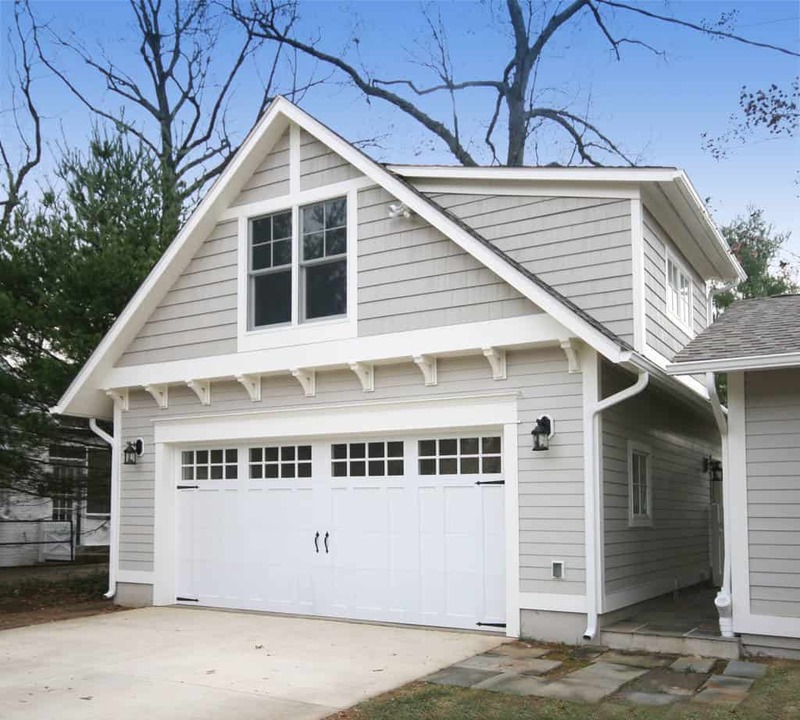 With great wood siding and glowing white doors, landscape this place to perfection. 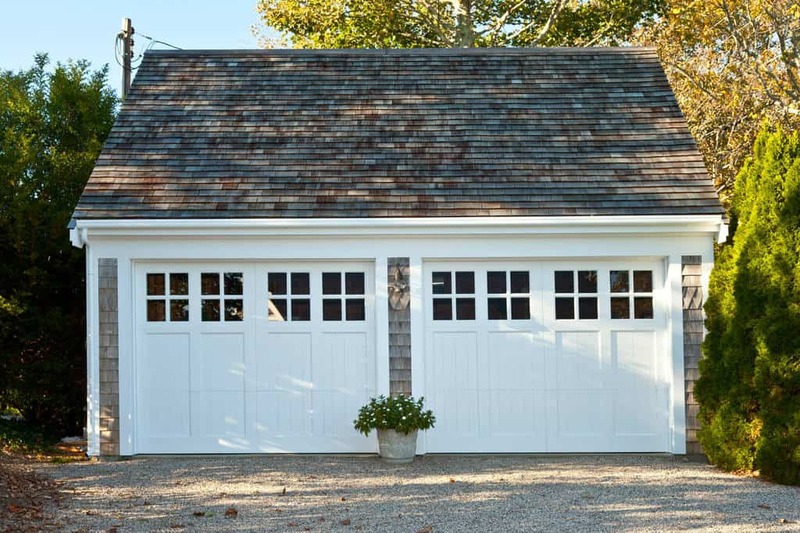 With a great stacked stone design around the bottom, this garage uses lighter colors to create a lively space that will always be welcoming. Not everyone needs an indoor garage. Sometimes you just need a place to keep the vehicles covered. You can have that and make it look great.